After 120 matches in round robin play, the Volleyball Nations League Final Six is set and the pools for Nanjing from June 27-29 are set. By virtue of being the host team, China is the top seed in Pool A. With the top spot in the standings after round robin play, the United States will be the top seed in Pool B.
Rounding out the top five in the standings were Serbia, Brazil, Netherlands and Turkey. The Final Six will be seeding according to the serpentine system, putting Serbia and Turkey in the pool with the United States. The two dealt the Americans their lone losses of the tournament. Joining China in Pool A are Brazil and the Netherlands. The Americans posted a 13-2 mark, amassing 40 points. Serbia, Brazil and the Netherlands followed at 12-3, but turned in 37, 35 and 34 points respectively. Turkey went 11-4 and accumulated 35 points. Three points were awarded for a win in three or four sets. A five-set win brought two points, while a five-set loss still earned a team one point. Team USA, Serbia, the Netherlands and Turkey all ended the round-robin action with victories. The Americans crushed Argentina to end on a two-match win streak. Serbia wrapped things up with three-straight wins, including one over the USA to kick off the final week of play, and a final sweep of South Korea. The Dutch ended on a four-match win streak, including a four-set win over Germany on Thursday. Turkey took out World No. 1 China to close out Week 5 on a two-match win streak. In other Thursday action, Italy knocked off Brazil in five sets to drop the Brazilians into third place in the standings. Russia also went the distance, besting Japan. 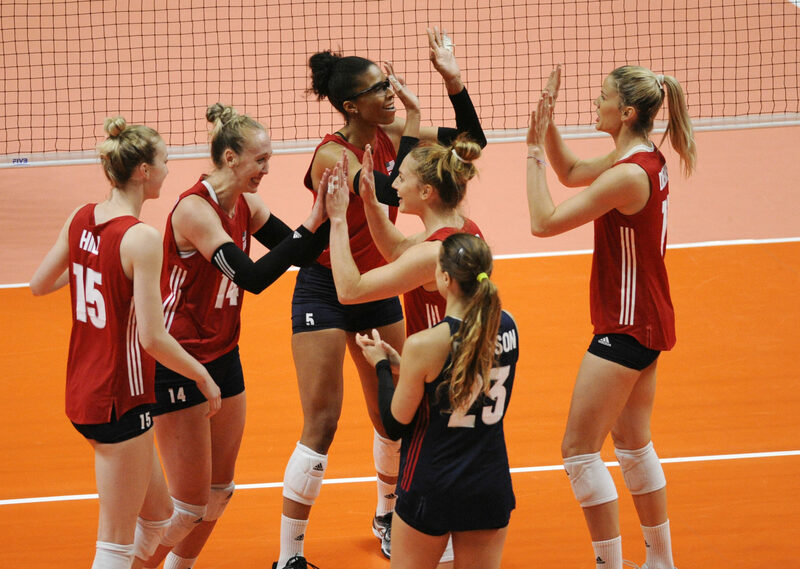 The Dominican Republic snapped a seven-match losing skid with a four-set win over Poland. Here’s a look at Thursday’s results. As the last place team, Argentina must now participate in a playoff match with the Challenger Cup winners to fight to be a part of the 2019 VNL field. The Challenger Cup is set for June 20-24 in Lima, Peru.